We are working for SIL Cameroon assisting with local linguists, translators, and literacy workers. Jann is working with the Iyassa language, as part of the translation team starting the first steps of translation in that language. Kevin trains and develops training material for translation teams in the use of computers and software for linguistic analysis, translation, and the development of literacy materials. He also helps develop the Adapt It software used to adapt scripture from a related language. In a recent trial using an existing tool called “Adapt It,” translators were able to reduce the time for the rough draft phase by nearly 80%. This was between languages in a “cluster” (related/similar languages). 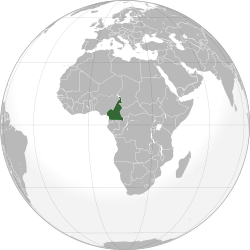 Cameroon has 36 clusters and 260 languages(most are still without any available Scripture or writing system). We are really excited about the possible impact we could have! Jann has earned a Bachelor of Arts in Bible from Columbia International University and a Master of Arts in Linguistics from the University of Texas at Arlington. Kevin has spent 20 years in the computer industry, and has experience in every facet of the industry from programming to management. He also has been very active at his Church, including being a Small Group Leader, Deacon, Mission Committee Chairman and serving on the Church Board. In 2009 Kevin earned a Graduate Certificate in Applied Linguistics from the Canadian Institute of Linguistics. We have both completed the Perspectives On The World Christian Movement course, and have both been involved for several years in the missions outreach of our home church, including the adoption of an unreached people group in Central Africa. We are both excited about what’s ahead and willing to pour out the rest of our lives for Jesus Christ. If you are interested in partnering with us in this ministry, or learning more about partnership, there is more information on the Partnering With Us link (above). Please feel free to contact us with any questions you might have.